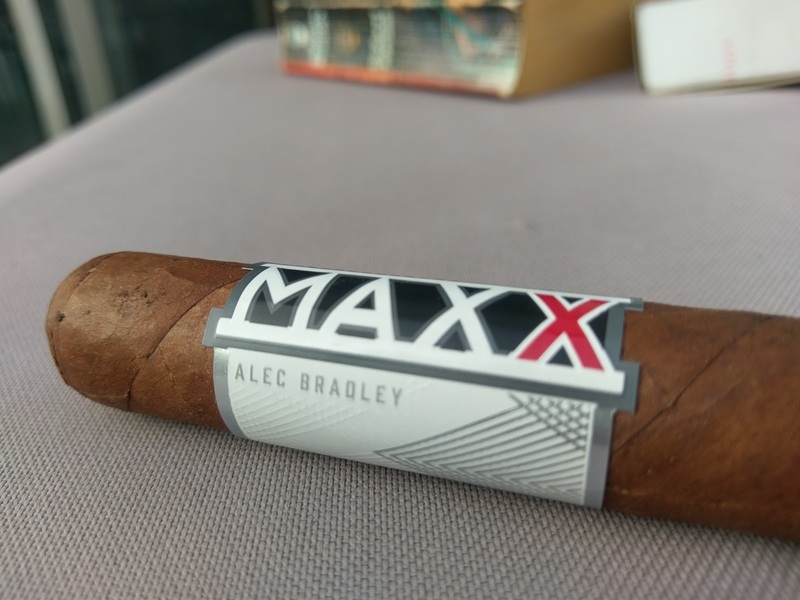 Background: We have reviewed quite a number of Alec Bradley products across the history of our site (and smoked a number more that we didn't review). They have scored as high as a 91 on the Black Market but as low as a 79 with, oddly enough, the older banded MAXX The Vice. So for this review, we are giving the MAXX another chance to see if the cigar has improved over time, and if the newer banding (re-banded in 2015 after 10 years of production) and a difference in size makes any difference to our experience. Appearance (0-20): Looking back at the former review, there wasn't a whole lot we didn't like on it in terms of how it looked. Where the old version of the band was a coppery / black mixture, this one is a little more bold and modern. The white backdrop of the band has MAXX stenciled out in black with Alec Bradley in grey. There are additional grey lines in symmetrical patterns along the side of the band. More importantly, of course, is that the stick below the band looks good. There are no noticeable veins at all and the wrapper is clean and clear of any blemishes. The coloration is a slightly dark caramel. The wrap itself appears relatively tight, so no real issues there either. Construction (0-20): The feel of the stick is pretty solid throughout, with no gaps that I can feel. The wrapper is slightly oily. Looking up and down the cigar, as was noted in the appearance, there is nothing to really worry about. The cut only revealed a small amount of debris, but the prelit draw was a little on the tight side of things. Post lighting, the draw opened up a little more but it didn't quite hit that sweet spot where its perfect. It sure did get close though. The burn line wasn't quite as sharp as I would prefer, but the ashes did hold for multiple inches at a time. Strength (0-20): One of the gripes from the previous iteration was it lost strength gradually throughout the smoke. For this particular size, it didn't do that. Billed in the medium to full range, this one actually its right around that range. It does slowly slide in strength throughout the stick, but its a slow slide from the top of the range to the bottom, resting just a hair above medium by the end. 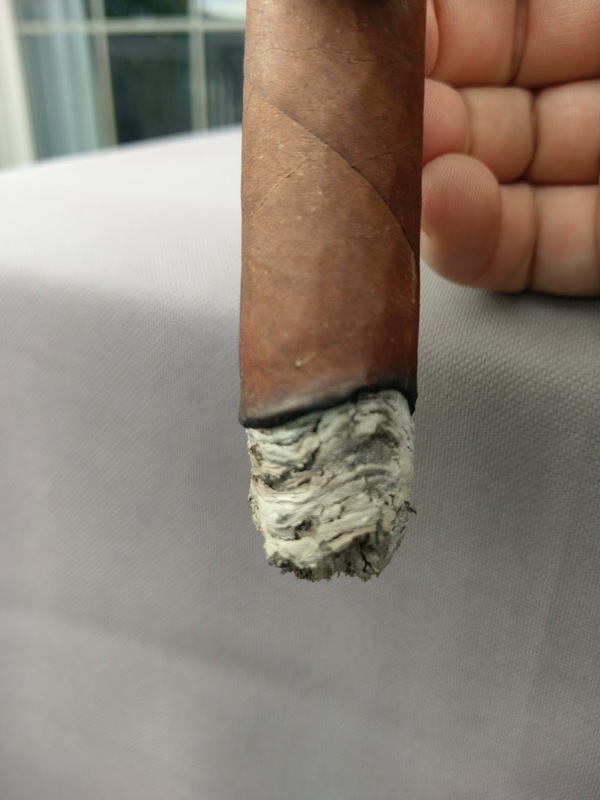 Flavor (0-20): The lighting of this cigar will greet you with wood and leather and just the smallest bit of pepper on the retrohale. There is an inherent sweetness that comes through and balances it out. From time to time I was able to pick up some earthy and coffee flavors, but for the most part this offering from Alec Bradley is really quite upfront and consistent. Value (0-20): $5.60 for a smoke wont break the bank, but it also doesn't quite make this one a steal either. Its pretty appropriately priced for what you're getting here. 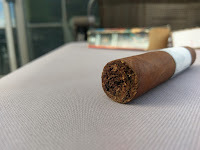 Overall (0-100): When comparing this to the MAXX The Vice, its really evident that the size of the cigar will absolutely make a difference in your experience. 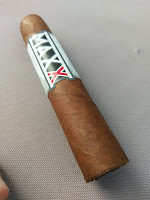 Where the original MAXX was alright, it may have suffered a bit in terms of how it smoked. This doesn't have that problem, and with a revamped band, its all that much more palatable. The flavor profile on this is really good - leather, wood, and some sweetness with just the smallest bit of earth, pepper, and coffee. That doesn't mean this is complex though, but if you're looking for something pretty cut and clear, this may be the one for you. Its kind of an odd size, but at the same time its nice for when you want a "fix" but don't have time for a giant stogie and at under $6, its a good one to keep around.